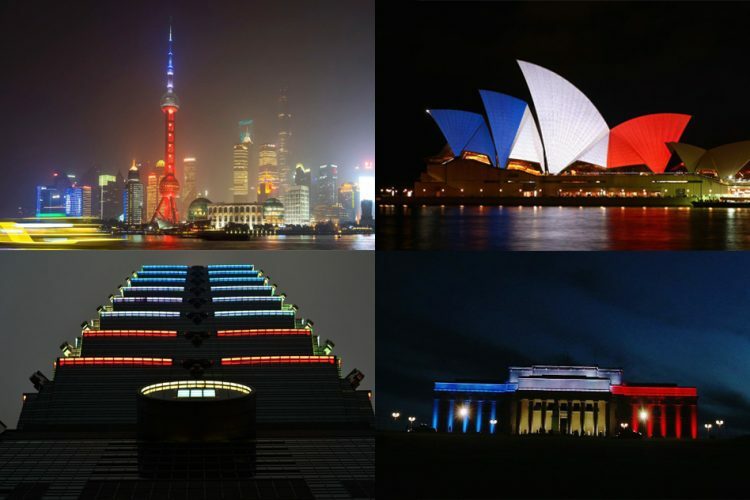 In the aftermath, buildings in cities across the globe were lit up in the blue, white and red colors of the French flag in a show of solidarity and support. 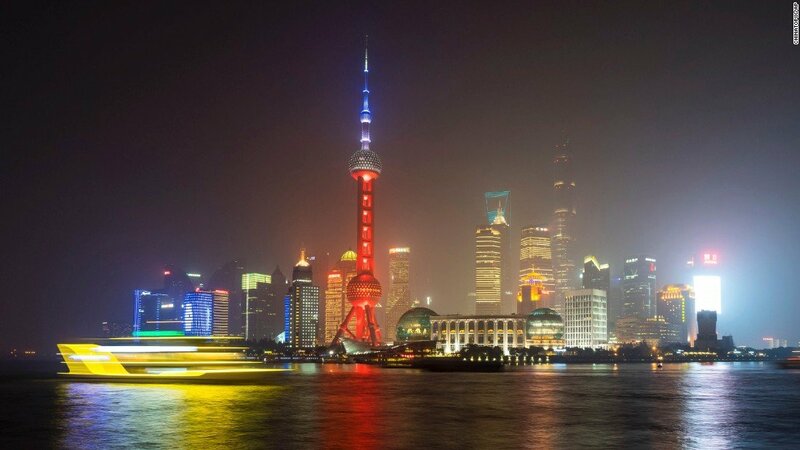 A ferry travels past the Oriental Pearl Tower, lit in the colors of the French flag, in Shanghai, China, on Saturday, November 14. 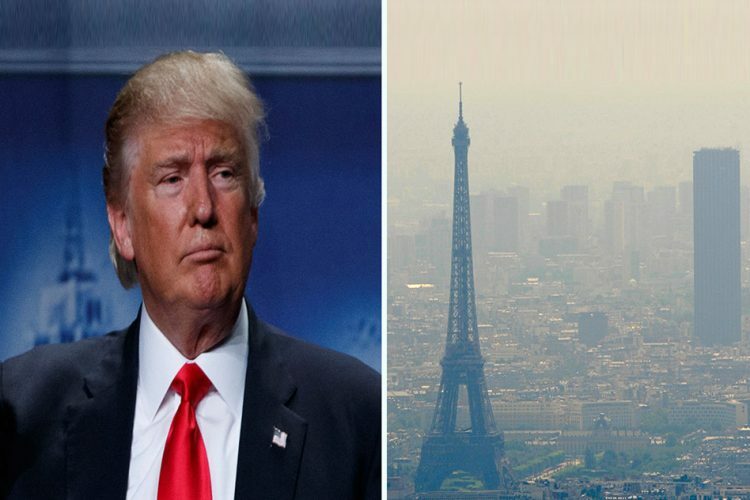 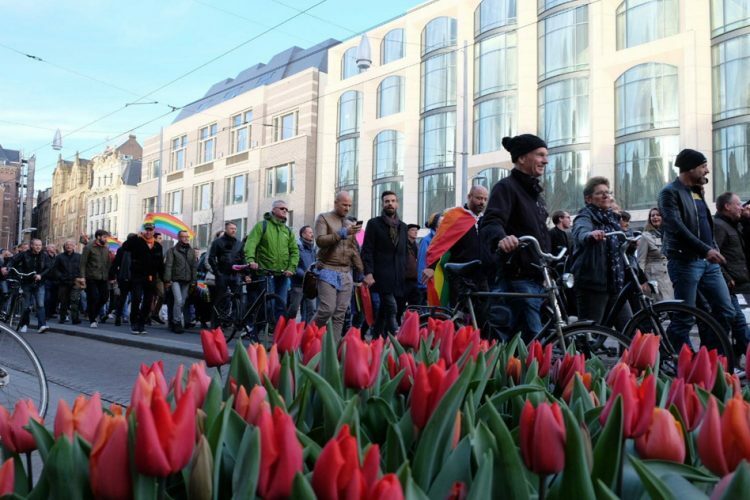 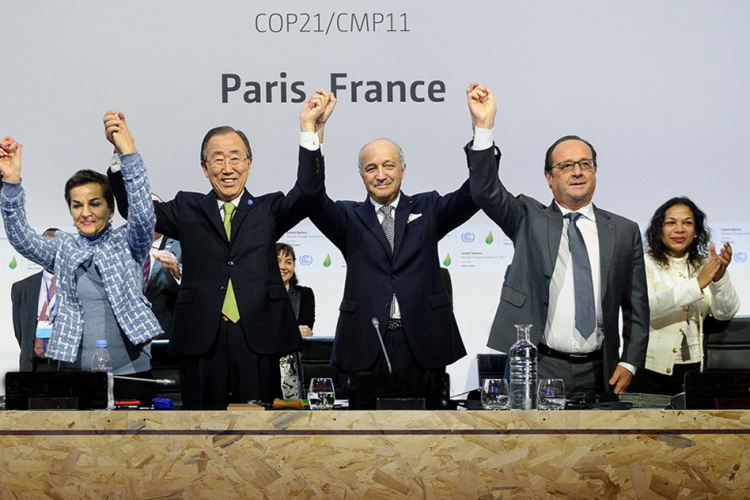 Display of support for the French people were evident at several landmarks around the globe. 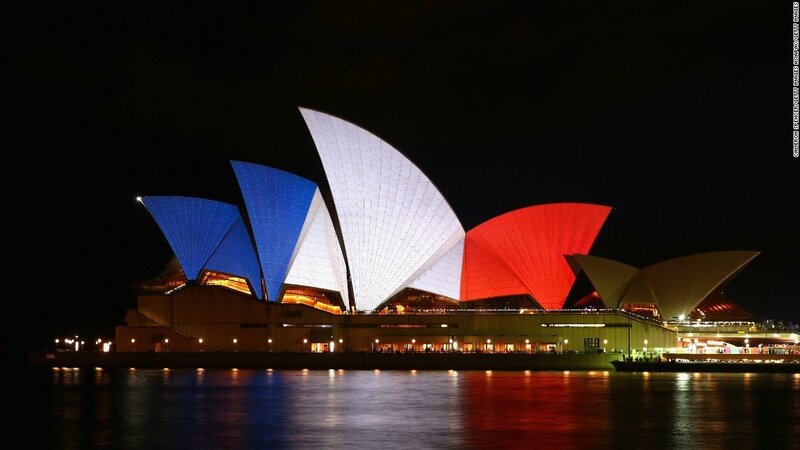 Austrailia’s Sydney Opera House is illuminated in the colors of the French flag on November 14. 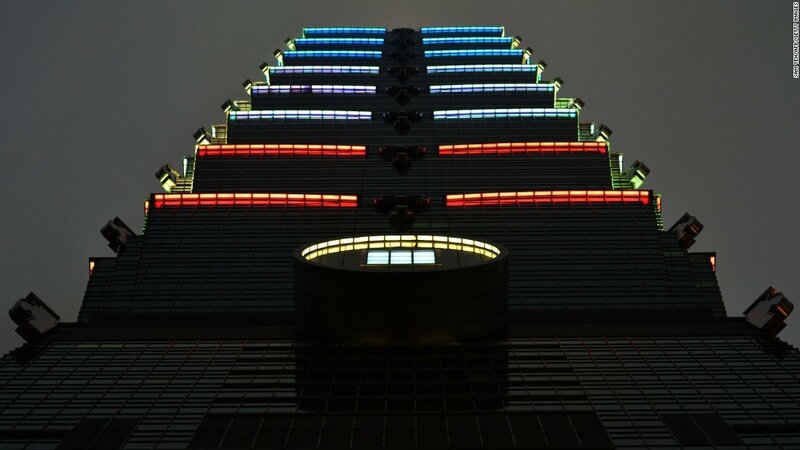 The Taipei 101 building in Taiwan is illuminated blue,white and red in honor of the dead and wounded in the Paris attacks. 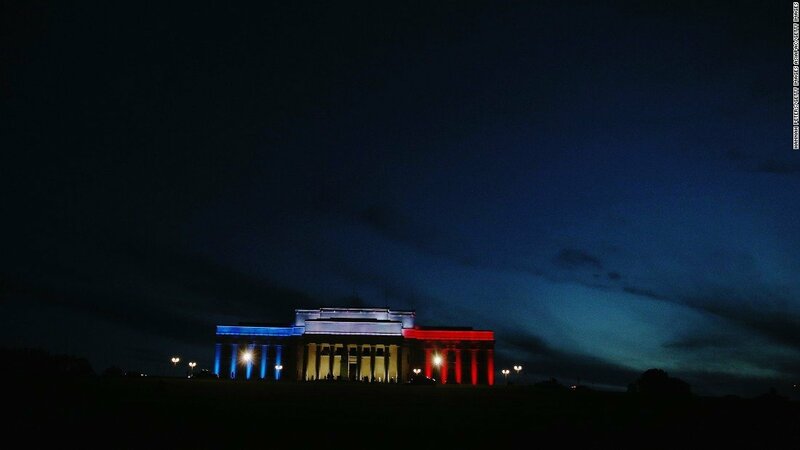 The Auckland Museum in New Zealand is illuminated in the French colors to remember victims of the Paris attacks. 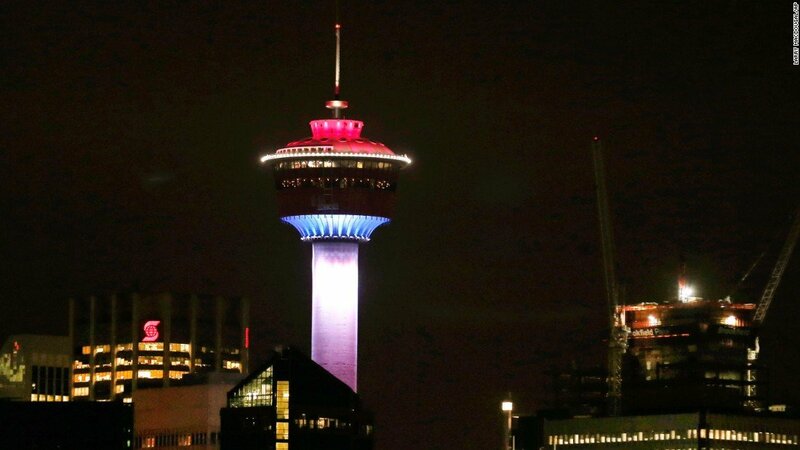 The Calgary Tower in Alberta, Canada, is lit up with the colors of the French flag to show support and sympathy for victims of the Paris attacks. 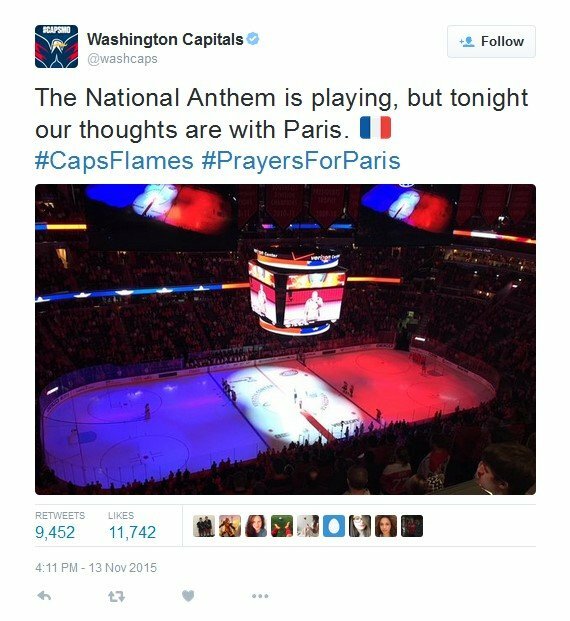 In Washington, the ice at the Verizon Center became a tricolor before a hockey game between the Washington Capitals and the Calgary Flames. 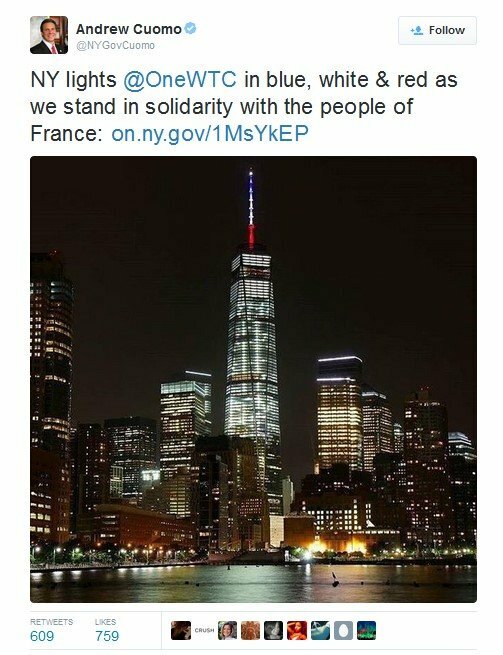 In New York, One World Trade Center’s antenna was lit in honor of France. 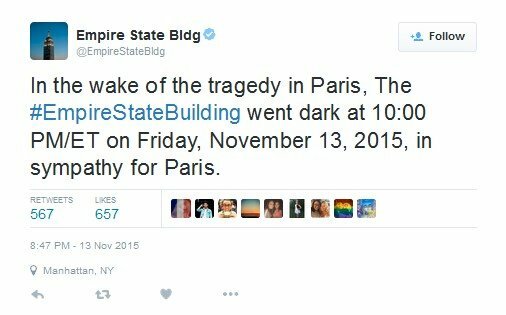 While the Empire State Building was darkened in sympathy. 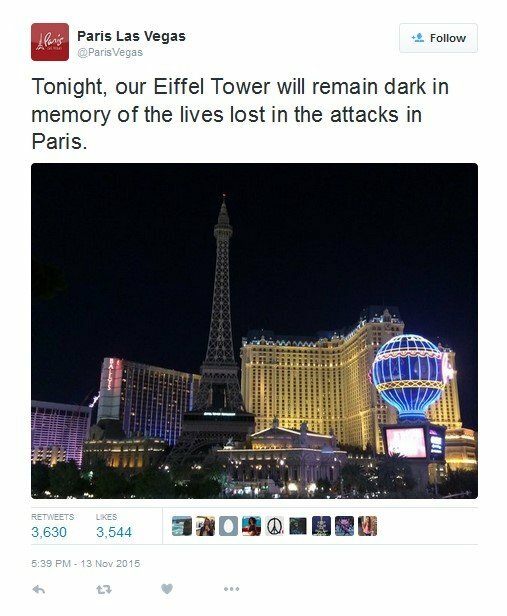 As was the 50-story replica of the Eiffel Tower at the Paris Las Vegas resort. 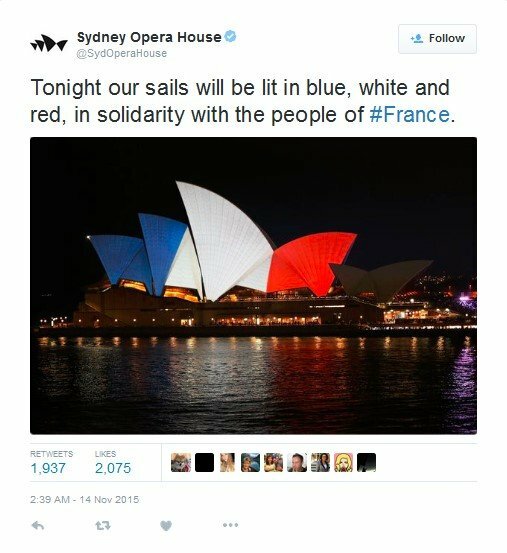 The Sydney Opera House in Australia was lit vibrantly in French colors. 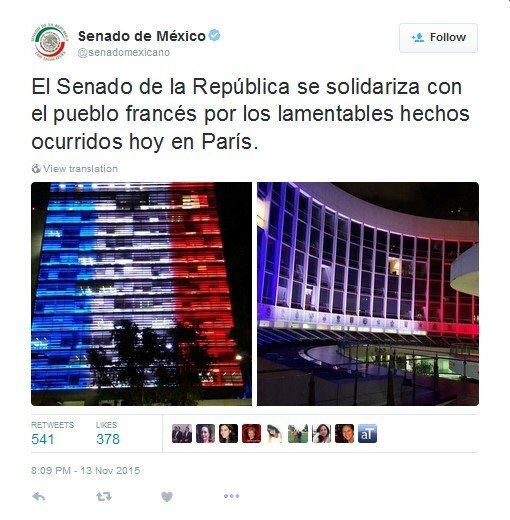 So was the Mexican Senate. 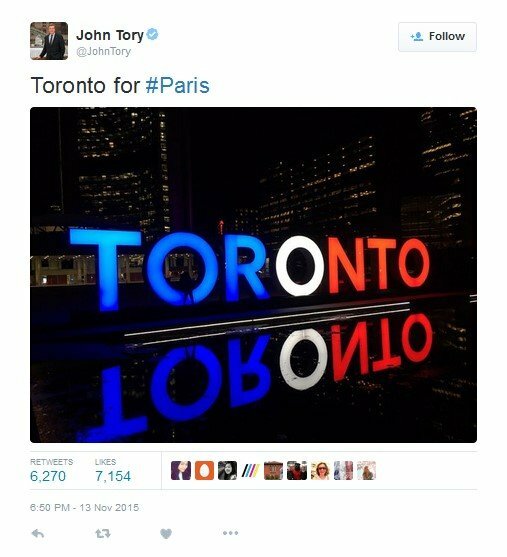 In Canada, the Toronto sign at Nathan Phillips Square was lit in blue, white and red.